When tensions begin to rise in Europe and Germany began its fast paced rearmament program, the British Air Ministry started to survey the country for targets that could severely effect German’s capability to fight a war. 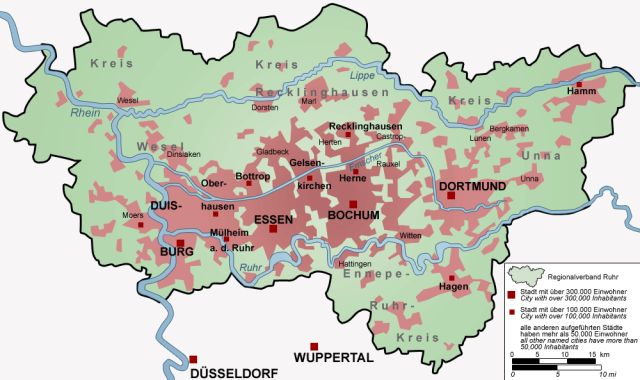 Eventually, the Ministry came across the industrial area in the Ruhr Valley which was the powerhouse of Germany. In addition, dams in the nearby rivers made this location ideal to strike if the Nazi war effort was to be diminished. The dams could only be brought down if they were repeatedly hit with large bombs, but this was near to impossible due to strong defenses in the area. Also, the bombs needed to reach the base of the dam and then explode, which the Germans had covered using torpedo nets. A new way had to be devised for hitting the Nazis where it would hurt the most. Barnes Wallis was tasked with the development of such a bomb that could penetrate the German dam defenses and, if delivered at the right altitude, damage the dam beyond repair. Wallis had sound knowledge of his field. 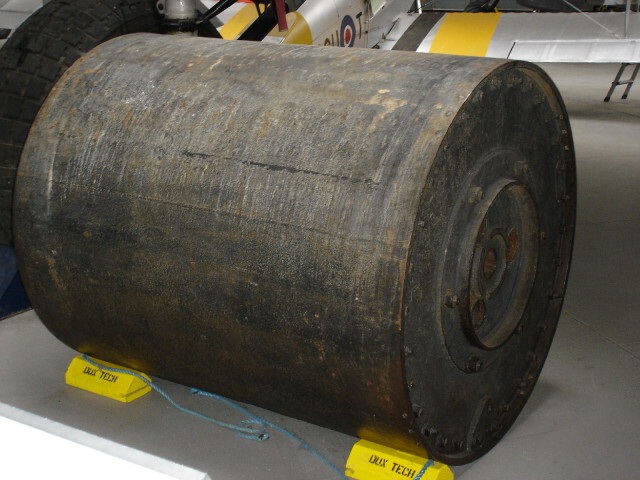 He began work on a drum-shaped bomb which was designed to spin backwards and explode with a blast like a depth charge. When dropped at the correct speed and elevation, the bomb would bounce on the surface of the water and dodge the torpedo nets to reach the base of the dam. The bombs came to be known as “bouncing bombs” because of their ability to spin over the surface to reach their target. After initial testing & analysis, the bomb was approved for use and the Lancaster Bomber was chosen for carrying out this task. The strike had to come as soon as possible. A total of 30 Lancasters were chosen for the raid and the date was set to May 16th, 1943. The bomb that was still a closely kept secret was named “Upkeep” and the Lancasters were modified so that the new bombs could be fit. The mission was called Operation Chastise. A new squadron was formed out of the No. 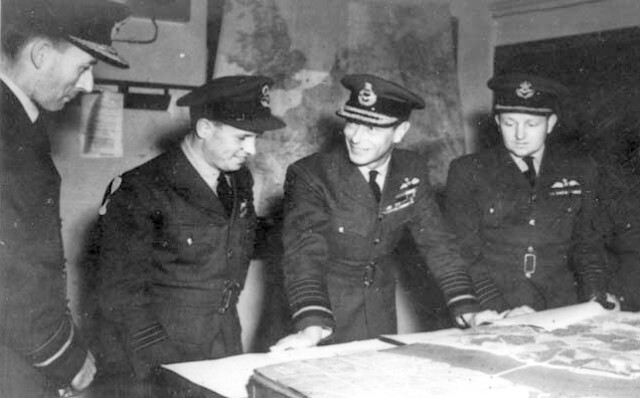 5 Group RAF, named “Squadron X.” Wing Commander Guy Gibson was put in charge. This young commander had taken part in over 170 bombing missions and was given 21 bomber crews to choose his team from. A total of three dams were selected, the Mohne & Sorpe Dam upstream from the Ruhr Industrial Complex and the Eder Dam that fed into Weser. The latter was made a secondary target. The main goals of the mission were the disruption of hydroelectric power generation, disruption of water supply to industries and damage to the canal system. The RAF also raised the potential for heavy flooding due to the strike. Almost all the internal armor of the Lancaster was removed along with the upper machine gun turret and the bomb itself hung from the plane. With only a few weeks remaining, the flight training was kicked off and the Squadron X started bombing from 60 feet at 240 mph at certain makeshift targets. The biggest problem faced by the entire team was not the speed but the angle at which the delivery had to be made. Formation 1 composing of 9 aircraft, with the mission being to first attack Mohne and move onto Eder if any bombs remained. Formation 2 made up of 5 aircraft, the mission was to attack Sorpe. Formation 3 made up as a backup in case any single formation fails to deliver. They were ordered to wait for 2 hours and then take off, bombing secondary targets like the Ennepe & Diemel Dam. On 16th May, the aircraft took off from their base in Lincolnshire. The second formation took off at 21:28 and took a northern route to their targets while avoiding any flak positions to minimize damage & detection. The first formation took off at 21:39 and after entering mainland Europe, flew over the Netherlands and curved over the Ruhr Industrial Complex’s defenses before changing direction and heading straight to Sorpe dam on the Mohne River. The second formation flew north over Vlieland before getting back on the same route as the first formation to the Sorpe River. To maintain the secrecy of the operation, the bombers were ordered to fly as low as 100 feet. 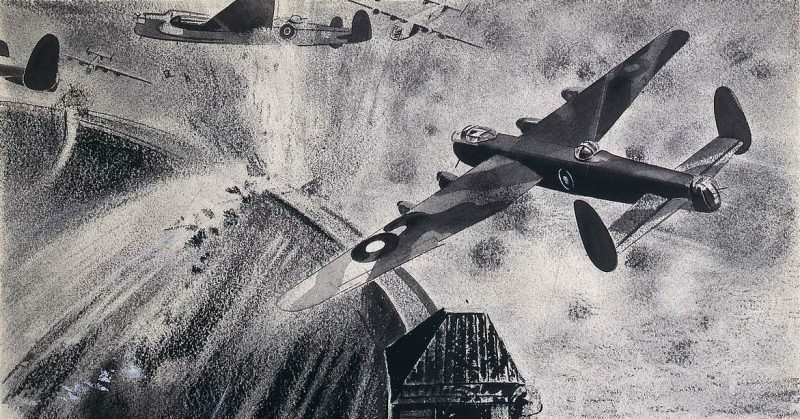 Everything didn’t go according to plan – one of the bombers lost its radio equipment to a flak cannon while another one flew right into the sea. Two others were shot down and crashed while another one ran into electricity transmission lines. At the end, only one of the bombers of Squadron X that took off late was able to make it into Netherlands! On the other hand, Formation 1 only lost one bomber, which ran into electricity cables and crashed shortly after. 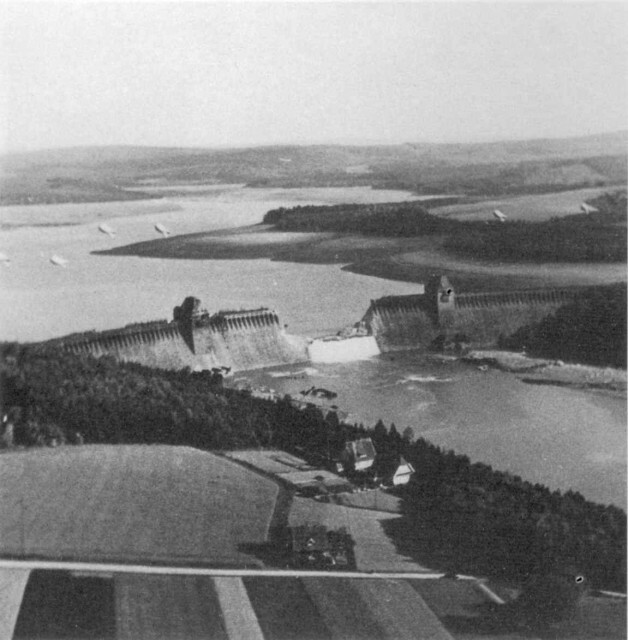 The attack on the Mohne Dam kicked off as soon as Formation 1 arrived. The Nazis were now aware of their presence and manned their flak cannons. Four bombers dropped their payloads, one after another while the remaining ones tried to divert the flak guns! The fourth drop did the trick and the dam was breached. During this confrontation, one of the bombers was lost to Nazi return fire. The Eder Dam was next. This was an easier target as there weren’t many anti-aircraft defenses, other than the natural fog over it. Formation 1 undertook this task and the Lancasters made a run for it, one after the other. The approach was difficult as sometimes the bombers flew too close to the dam, running the risk of damage from their own explosives! Nonetheless, Eder was also breached. Next came the Sorpe and Ennepe Dams which were both earth filled, making the mission close to impossible. In addition, the area was guarded heavily by Germans. Only 3 Lancasters made it to the Sorpe Dam due to strange circumstances, one from the 2nd Formation and two from 3rd Formation. The bombers took at least a dozen attempts at attaining the right elevation & angle before dropping the payload. There was also hope from the Command Centre for another 3 reserve bombers, but they never arrived so the mission depended on the 3 Lancasters currently trying to beat the odds. Unfortunately for them, the dam’s design was too good to fail and the bombs only managed to blow off the crests while the main structure sustained the damage. Ennepe Dam shared a similar fate as out of all the bombers reserved for this objective only one made it, and managed to hit the dam only once. The mission was partially complete as two dams had been breached. There was instant flooding next to the Mohne and Eder dams and almost 1600 workers drowned as a result, the majority of whom were Soviet prisoners. During the return flight, the pilots took photos of the damage they had inflicted and it was quite evident that the Nazi war effort had received a significant blow from the Royal Airforce’s tactics & innovation.